This week begins with April Fools' Day –an annual celebration of practical jokes, hilarious parodies and lighthearted humor. We realize that any association ASD might have with this date might cause funeral directors to panic, but don’t worry. We’re not planning any fake death calls (“yes, I’m reporting the death of Myra Mains…”) or patch you any calls from people claiming to be buried alive. Although, while on the subject, did you know that the first recorded prank phone calls in modern history were made to funeral homes? We’ve taken enough of these calls to know firsthand that funeral directors are often on the receiving end of such shenanigans, which is why we wanted to flip the script for this year’s April Fools' Day. To celebrate the most mirthful day of the year, we’ve created a list of hilarious fake funeral home advertisements or marketing ideas that will have you dying with laughter. We hope every director will find something on this list they can use as fodder when someone wants to start trolling. So, the next time a fellow jokester sarcastically asks how your funeral home is dealing with all of the stiff competition (bad-dum-tss), you can reply by telling them you now offer one of these products or services. See how long you can keep a straight face. For those that want to give back to nature in death, without the mess of a Tibetan sky burial, our funeral home is proud to introduce Anaconda Removal Service. Finally, there’s a final disposition that supports reptile nutrition. For those looking for a way to repel unwanted conversations, SNL has created the perfect product. This product is proven to scatter men like ashes. As women know, there are times when you just want to say…leave me alurn! Leave your final resting place in the care of your feline friends with a catnip grave package! Your burial site will be the place to be for all of the cats in town whose constant kneading will keep your plot in purrfect shape! Everyone who visits the cemetery will know how important you were by a continual chorus of mournful mews coming from your grave. Attendees at your funeral will never forget that moment all the doors shut during your funeral service while the Reins of Castamere played. Or perhaps your send off was best remembered for reality show style judging of each one of the funeral elements. (“Family members, will you accept this rose?”… “Pallbarers, make it work!”… “Gladiola flower spray, you are the weakest link. Goodbye!”). Whatever your favorite TV show was, our funeral services are designed to both meaningful and binge-worthy. 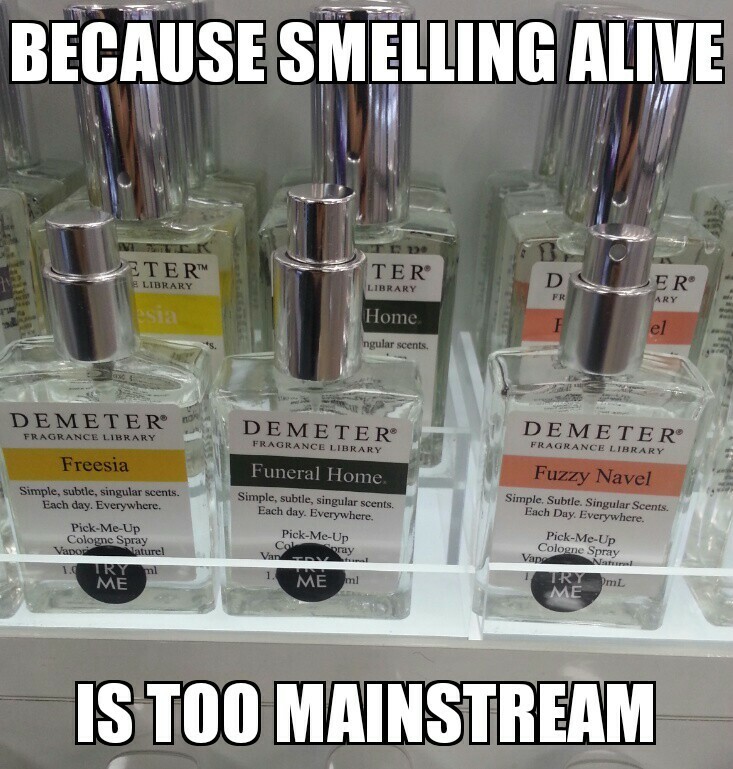 Our funeral home is now just a spray away! Take us with you anywhere with our new line of specially formulated perfumes and colognes. Forget flowers and jewelry, nothing says “I Love You” like a cemetery plot or prearranged funeral plan. We have also partnered with Things Remembered so you can engrave a heartfelt Valentine's Day message on any one of our urns for that special sweetheart in your life. Don’t get flushed! Take control of your cause and location of death with this easy-to-install toilet death ejector. SNL’s new potty invention will help you reclaim your dignity in death. Take advantage of a wonderfully unique advertising opportunity by leasing the space on the side of our building. Few buildings get as much foot traffic as a funeral home…what could possibly go wrong? 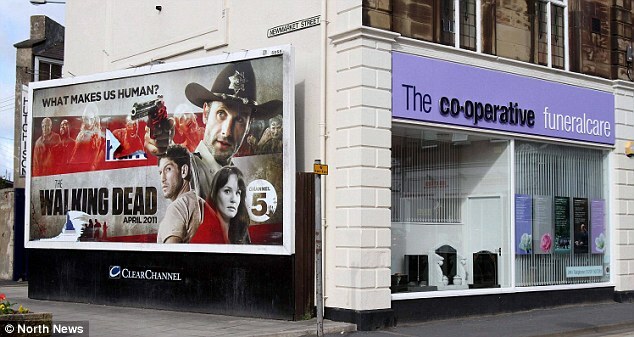 We hope you enjoyed this round up of ridiculously funny funeral home marketing ideas. Please know that this piece is just meant for satirical humor and is not meant to be taken seriously. To complete our list, we wanted to get in on the fun and include a few hilariously absurd ASD products. Whether it’s in your eye, on your arm, connected to your neck or on your steeling wheel, the ASD Mobile app is never far away with these cutting-edge products!